BiographyAidan Mercer joined BuildingSmart International in 2018 and is currently the global marketing director. 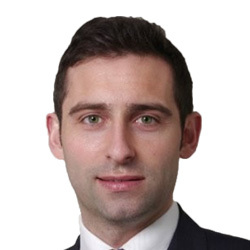 Prior to this, Aidan has held various roles in high-tech organisations including Bentley Systems and Exor Corporation. Previous roles included global marketing responsibility for AEC, geospatial and utilities marketing for infrastructure project delivery and asset management. Aidan’s responsibilities span the bSI brand to include the User, Compliance and Standards programs, as well as coordination for the various chapters. Aidan graduated with a bachelor’s degree in history and holds a master’s degree in marketing from the University of Gloucestershire and various CIM Chartered marketing qualifications. Aidan has written extensively on global topics such as BIM, Smart Cities and Going Digital as he aligns the company message to audiences around the world.